There is something physical about Sharon Van Etten’s observations. Her fluttering voice wavers between permeable and thick as waves of nectar rise and fall. She breathes in and you can hear the suffocation of her pacing heart– seeping filmy, embittered words born of hurt. It’s as if she were a broken object at a second hand store. Where did these cracks come from and how did it break? Was it just a really bad fall or was it the Time(all this time) that caused it? The same way Time makes us old, it can make our hurt deep. It is through meticulous observation of a singular incident that the crack crawled along Sharon Van Etten’s frailer organs. And as she sings over and over, “never let myself love like that again,” you recall her first pondering the idea of nursing the loss of someone she continues to love forever by letting that person stay right next to her touching her arm until death. Which is worse, she seems not to know. It is a morbid thought, but Van Etten understands the extremes with which she plays. She is only exaggerating to make the other option sound that much worse. Or is she? This might be what makes her songs so sad. With A Crime, Van Etten delivers a song so engulfed in the isolation of her observation of her own pain, one must believe it is based on something true. This might be what makes her songs so good. 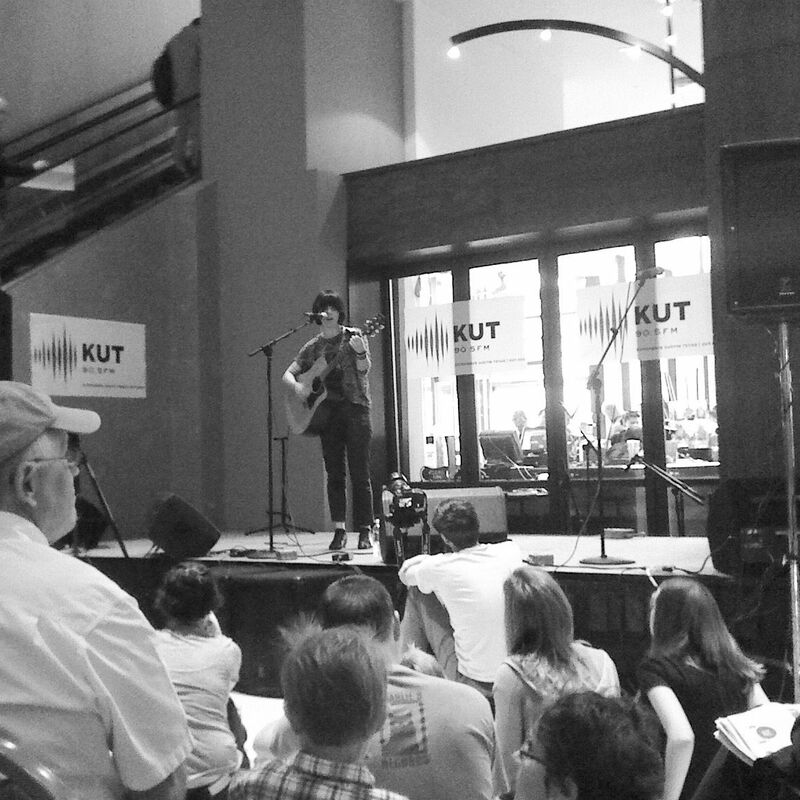 Sharon Van Etten at SXSW 2011.